Utile 32-Inch x 48-Inch Alcove Shower Stall in Stone Sahara Create a sophisticated bathroom space with unparalleled ease and speed. Utile by MAAX is an innovative shower wall solution that comes in a range of rich colours, deep textures and stylish patterns that look and feel like tile, yet installs easily in just 1 day versus 3 days for standard ceramic tile. 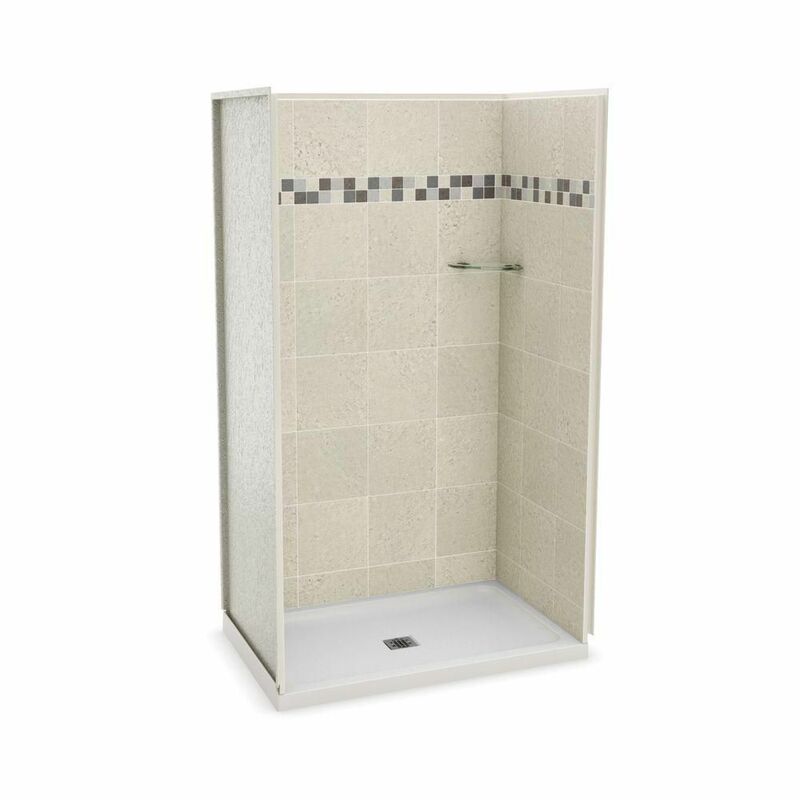 Utile 32-Inch x 48-Inch Alcove Shower Stall in Stone Sahara is rated 5.0 out of 5 by 1.
kit says it comes with one back wall but does not state two side walls, do I need to order the side walls separately? Does the shower pipe &amp; head get installed above the 83 inches of height, or does a hole need to be drilled? AND how do I order more of the corner shelves?